If this describes you and you are ready to make a real demand for improvement that will put you back in charge of your own health, then you have come to the right place! If you are a Nutrition Response TestingSM case and you follow our recommendations to the letter, then there is hope that you will receive the help you need to restore your health. Because of Nutrition Response Testing, we are here and are able to help you improve your health. If you want to get healthy and stay healthy, it is important that you understand what Nutrition Response Testing is and what our recommendations are based on. Otherwise, you are less likely to follow through and actually do what you need to do to get well. If you don’t follow through, you won’t get well. And if you are not going to get well, why do it in the first place? The results we have been having with Nutrition Response Testing are often in the 90% and better range. The only reason we are here is to help you get well. We have no other reason for being here and hopefully, you are here for that same reason. That is why I want to make sure you get the correct understanding of what Nutrition Response Testing is right from the start. In medical practice there are two key parts: the diagnosis (identifying and/or naming the disease” or syndrome) and the treatment (drugs, surgery, etc.). In Nutrition Response Testing we do not diagnose or treat disease – but we also have two parts: the analysis (the assessment of your body’s current health status) and the personalized health improvement program (using designed clinical nutrition). Simply put, first we do an analysis, and then we design a natural health improvement program to help you handle what we find in our analysis of your body and condition. The analysis is done through testing the body’s own neurological reflexes and certain acupuncture points. Nutrition Response Testing analyzes the different points and areas on the surface of the body that relate to the state of health and to the flow of energy in each and every organ and function of the body. The neurological reflexes are derived from the part of the nervous system whose job it is to regulate the functions of each and every organ. The acupuncture points are selected from the ancient Chinese system of acupuncture, which is thousands of years old. Interestingly, since the human anatomy has not changed significantly in thousands of years, the utilization of these reflexes and specific points have become extremely useful in our practice because they are so accurate! Each Nutrition Response Testing reflex represents a specific organ, tissue, or function, and indicates the effect that energy or the lack of energy, is having on the body. By testing the Nutrition Response Testing reflexes, we have a system of monitoring your body at each visit that has proven to be extremely accurate clinically and that helps us identify exactly what the body needs and how well we are meeting that need. Doesn’t this sound like something you would want for yourself in order to predict, with certainty, what is needed and wanted by the body to get you to the next stage of improved health? How Do We Do The Nutrition Response TestingSM Analysis? Here is what we do with Nutrition Response Testing. Instead of connecting electrodes to the reflex areas being tested, the Nutrition Response Testing practitioner contacts these areas with their own hand. With the other hand, he/she will test the muscle of your extended arm. If the reflex being contacted is “active” the nervous system will respond by reducing energy to the extended arm and the arm will weaken and drop. 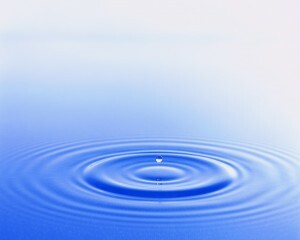 This drop signifies underlying stress or dysfunction which can be affecting your health. Because we did a Nutrition Response Testing analysis for him or her, we found the “active” reflexes and then made specific nutritional recommendations to help the body return to an improved state of health. Most importantly, the person is following through on our recommendations. We are prepared to do the exact same thing for you now. Isn’t that exciting? However, the best is yet to come. Let’s say the liver or kidney reflexes are active. Then what? Our next step is to test specific, time-tested and proven, highest-possible quality nutritional formulas against those weak areas, to find which ones bring the reflexes back to strength. Our decades of clinical experience tell us that when we have found the correct nutritional supplements, as indicated by this procedure, and have worked out a highly personalized nutritional supplement schedule, we have identified the most important first step in correcting the underlying deficiency or imbalance that caused the reflex to be active in the first place. By following the program as precisely as possible, you are well on your way to restoring normal function and improving your health. It’s that simple! In medicine, the medical doctor makes a diagnosis and then uses drugs or surgery to attack or suppress the symptom, or to surgically remove the “offending” organ or part. In Nutrition Response Testing we use “DESIGNED CLINICAL NUTRITION” to correct the cause of the problem, so that the body can regain the ability to correct itself. Nutrition (real food, designed by nature to enable the body to repair itself and grow healthfully). It is concentrated, whole food in a tablet, capsule, powder or liquid, prepared using a unique manufacturing process that preserves all of the active enzymes and vital components that make it work as Nature intended. These real food supplements have been designed to match the needs of the body, as determined by the positive response shown when tested against the active Nutrition Response Testing reflexes that were found on your individual Nutrition Response Testing analysis. These are nutrients you are simply not getting, or not assimilating, in your current diet. These deficiencies may be due to your past personal eating habits and routines, but it is for sure due, in some large extent, to the lack of quality in the foods commercially available in grocery stores or restaurants today. Designed Clinical Nutrition is not ‘over-the-counter’ vitamins. Over-the-counter vitamins are pharmaceutically engineered chemical fractions of vitamin structures reproduced in a laboratory. Because they are not made from whole foods, “over-the-counter” vitamins are not “genuine replacement parts” as they lack many of the essential elements normally present in WHOLE foods. [Please ask about our audiotape: “The Whole Truth About Vitamins,” for an entertaining, in-depth explanation of this aspect of vitamins and other nutritional supplements.] Vitamins that are being used all over today generally only need to have a small percentage of their actual content derived from natural sources to be labeled “natural”. If they are not derived from whole foods, they often make you even more deficient and nutritionally out-of-balance. They can create other health problems because they do not contain all of the co-factors found in nature that make the vitamins work. So-called “scientific research,” done with these shoddy substitutes, repeatedly “proves” that vitamins don’t do much good for anyone! Can you imagine who pays for these “researches”? Through an analysis of your body’s reflexes, we help you to determine the exact nutrients you need to supplement your diet in order to bring about balance and better health. Depending on your individual situation, we might also require that you make some specific changes in your diet & eating habits and in your routines, in order to bring about the best possible results. Standard Process nutrients are derived from plants grown on their own farms, in soil free of pesticides – and no chemicals are ever used. Ph.D.’s check the soil before the seeds are sown, to make sure of the fertility of the soil – and even the weeding is done by hand. Your vitality and energy is derived from live food. Most foods today are all dead – or are not really foods at all – as in boxed cereals, canned vegetables, soda pop, etc. You can readily understand the difference between dead, devitalized pseudo-foods with the synthetic or isolated vitamins on the one hand, and “Designed Clinical Nutrition” and a diet of real foods, on the other. Having been designed through decades of clinical use on tens of thousands of patients, and on patients from many different types of health care practitioners, you can be assured that Nutrition Response Testing is capable of evaluating and solving your health concerns. A complete Nutrition Response Testing analysis can be done on each subsequent visit. Often these reveal additional layers of dysfunction. These can then be addressed in the correct sequence for your body. Each patient gets a completely individualized program. Very much like opening a combination lock, you must use the right numbers in the right sequence and in the right direction at the right time – then the lock falls open. Therefore, since every case is different, by following the correct sequence as revealed through Nutrition Response Testing, even the most complicated cases can be handled. So, yes, the good news is that it is possible to reverse the process! What could be more natural? What could be more correct? Each cell, tissue, and organ in your body is in the process of replacing itself every day, month and year. The health of each organ is dependent on making the correct nutrients available to upgrade or to maintain the health of the body at a cellular level. Designed Clinical Nutrition provides the right basic materials. Nutrition Response Testing tells you when and what to use to bring about the desired result. With this understanding of what we do, can you see how we might be able to help you do something effective to get yourself well? And once that is achieved, do you see how you might be able to use this approach to stay well? How and why we do it . What you need to do to have the potential of restoring your health and staying healthy. But in the end you are the one responsible for your own condition. And with our guidance, we feel that – if you are a Nutrition Response Testing case – your chances of greatly improving your health can be as high as 90% or better. How Do You Qualify to be a Nutrition Response TestingSM Patient? Our long-term experience in a wide variety of cases tells us the first thing we must determine is whether or not you are a “Nutrition Response Testing Case”. If someone is NOT a “Nutrition Response Testing Case” then it is unlikely that Nutrition Response Testing will ever help you. However, if you are a “Nutrition Response Testing Case”, then, in our experience, it is our belief that nothing else will help you as much. If our analysis indicates that you are not a Nutrition Response Testing / nutritional case, then in all probability, while a nutritional program may give you some benefit, it may not give you the maximum results you desire. We wish you the best of luck in your quest to take back full responsibility for your health. Just remember to do it one step at a time, and that we are here to guide you in that quest. Once we accept your case, you can count on us to do everything in our power to help you achieve your health objectives and to help you achieve a healthier, happier life.